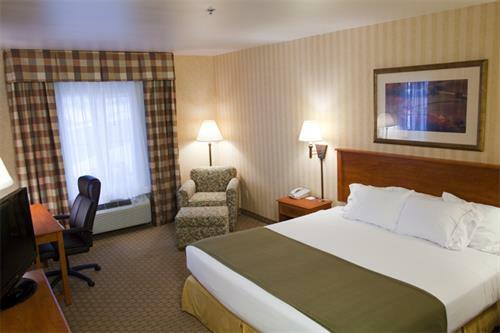 We are proud to be the exclusive host hotel of the Frontier Ice Arena, which is less than a mile down the road. Just minutes north of us is Silverwood Theme Park with Boulder Beach, where kids can find a variety of activities to entertain them. Adults can try their luck at the Coeur d'Alene Casino or head over to the beautiful Coeur d'Alene Resort Golf Course to hit a few balls. For our corporate travelers, we offer a business center with free copy and print services. In addition, Kootenai Health, North Idaho College, and downtown Coeur d'Alene are all close to our location. 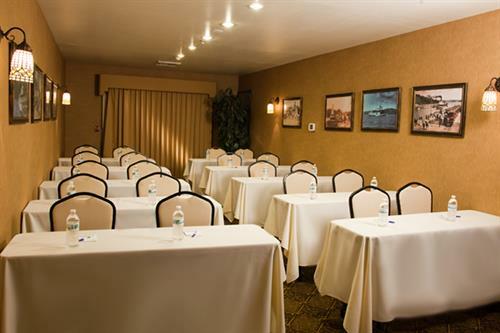 Our hotel's free high-speed, wireless Internet access makes it easy to conduct business from the comfort of your room. 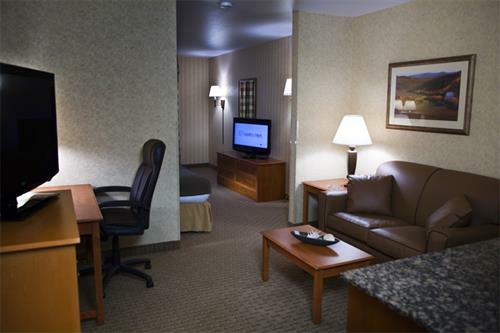 While staying with us in Coeur d'Alene, Idaho, our hotel's staff invite you to enjoy the great amenities. 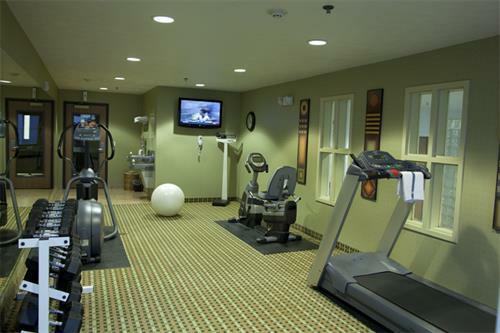 We offer a 24-hour fitness center and 24-hour indoor pool & whirlpool. 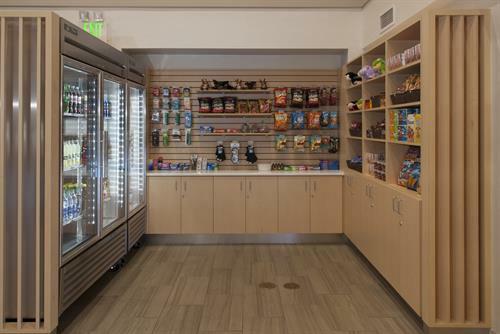 Every morning, we serve a complimentary, hot breakfast bar, featuring delicious cinnamon rolls, fresh fruit, and Smart Roast coffee. In the evenings join us for our Manager's Reception for complimentary dinner with complimentary beer & wine every Monday, Tuesday & Wednesday, Don't forget about fresh baked cookies every night at 7pm. Let us 'Impress' you, make your reservation today! I-90 to exit 11. From the East, make a left on Northwest Boulevard and a right on Seltice Way. From the West, make a right on Northwest and a right on Seltice Way. We are on the left hand side.